Dental bridges are a popular and effective restoration technique for replacing missing teeth. Using the remaining teeth surrounding the missing tooth as abutments, a bridge is made to support a false tooth called a pontic. This requires manipulating the healthy teeth surrounding the missing tooth and placing a dental crown bridge across the abutment teeth, covering the missing tooth. In some cases, bridges can be placed on top of dental implants to create a more stable fixture in the mouth. While it may seem like a lot of work, all of this can be done right here in our Omaha, NE office. If a dental bridge is necessary, the teeth surrounding the missing tooth are prepared and turned into abutments. Once the abutment teeth are ready, the dental bridge is manufactured and a temporary is placed. Once the permanent bridge has been made, it is sent from the laboratory to our office in Omaha and the temporary bridge is replaced with the permanent bridge. The two dental crowns on the bridge are placed on the abutments and the false tooth, the pontic, rests in between them, over top of the missing tooth’s socket. Restored Smile- A missing tooth can drastically affect the appearance of your smile. Dental bridges look like natural teeth and are far less noticeable than a missing tooth. Because of this they will help restore your smile to its bright and natural white appearance. Improved Chewing Ability- Chewing can be more than a little difficult when you are missing a tooth. Hard and chewy foods can be a pain when you have lost a tooth but getting dental bridge implanted will help restore the tooth’s ability to chew. Keeps Teeth in Position- Other teeth can shift around and move out of position if a tooth is missing. By installing a dental bridge, it will help keep your remaining teeth securely in position. Prevents Potential Tooth Loss- When a tooth is lost, an infection can develop and cause the tooth’s root to decay. If this is left untreated the infection could spread to other teeth, resulting in more tooth loss. Dental bridges help prevent potential infections by sealing off the sensitive gums from the rest of the mouth. 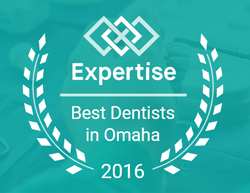 If you are interested in getting a dental bridge or any of the other services we offer at Quality Dental Care in Omaha, NE you can contact us here or by calling 402.431.8844 to schedule an appointment.